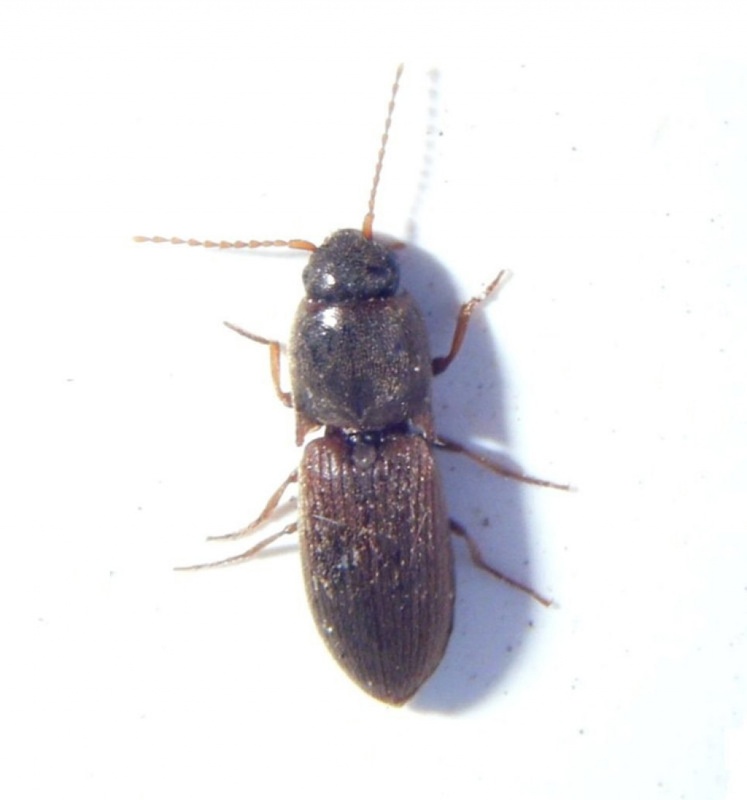 Size about 9mm - a mid brown species of click beetle. Note that A. lineatus may look similar, but the stripes along the elytra in that species have a two-tone dark and light appearance. 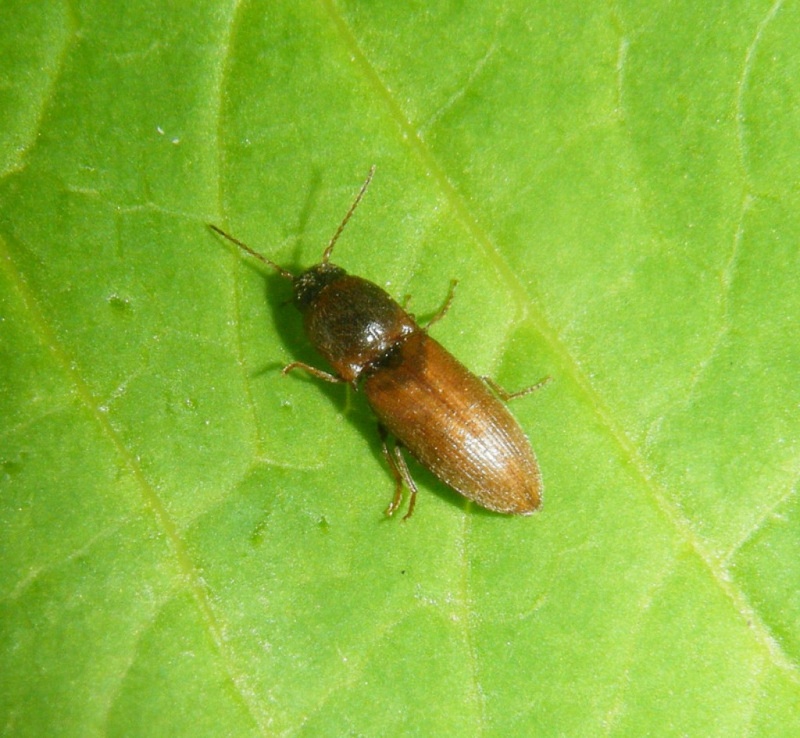 Agriotes obscurus is another similar species, but the pronotum here is much more strongly contracted towards the front. Conversely, in A. sputator, the pronotum is more nearly parallel-sided and much less strongly contracted to the front. Meadows and grassy places, also in cereal crops. An early species likely to be encountered from late March onwards. 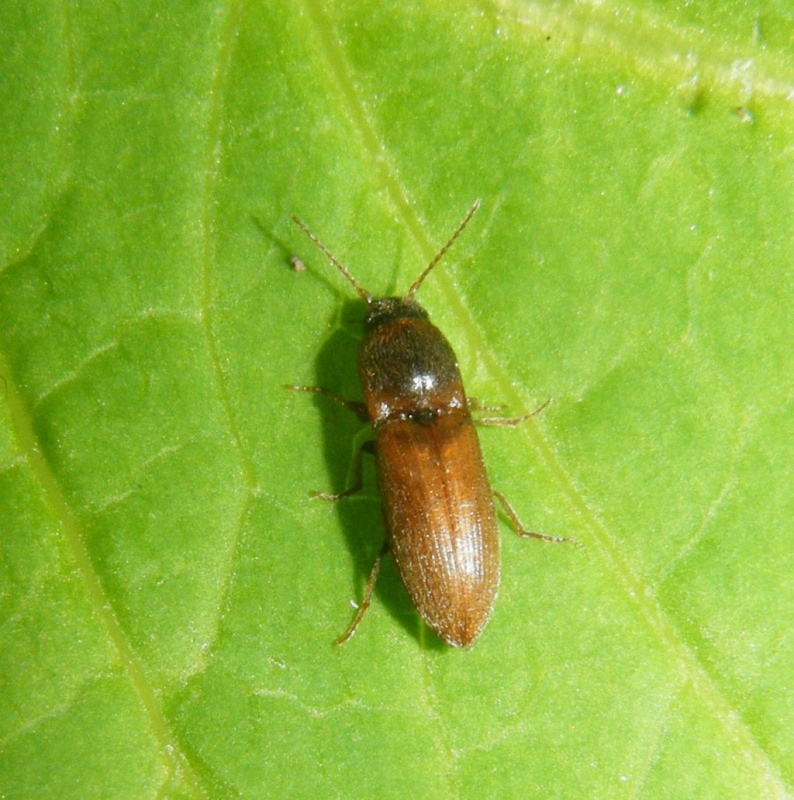 The long lived larvae feed on the roots of grasses and other plants. Fairly widespread and quite frequent in the southern half of Britain. Fairly frequent in Leicestershire and Rutland. 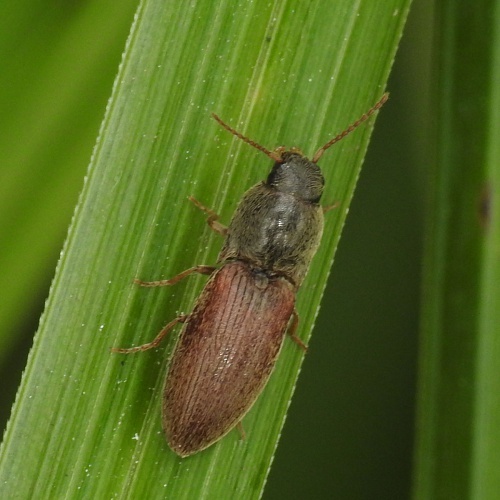 There were a total of 68 VC55 records for this species up to March 2015.